I took a random trip to Dare Salaam one fine Friday in September 2015, I had decided to relax for a few days and enjoy the beauty our neighbour Tanzania had to offer as I thought of what next after a three month internship. It is during this trip that I accompanied a friend of mine, Carole, to the UNESCO Regional Youth Forum that was happening at the British Council. After an exciting weekend in Zanzibar and being left by the ferry, getting to Dar and attending the UNESCO Regional Youth forum seemed like the most reasonable thing to do. After all, other than memories, I wanted to go back home with something to work on, and I figured this would trigger my mind. 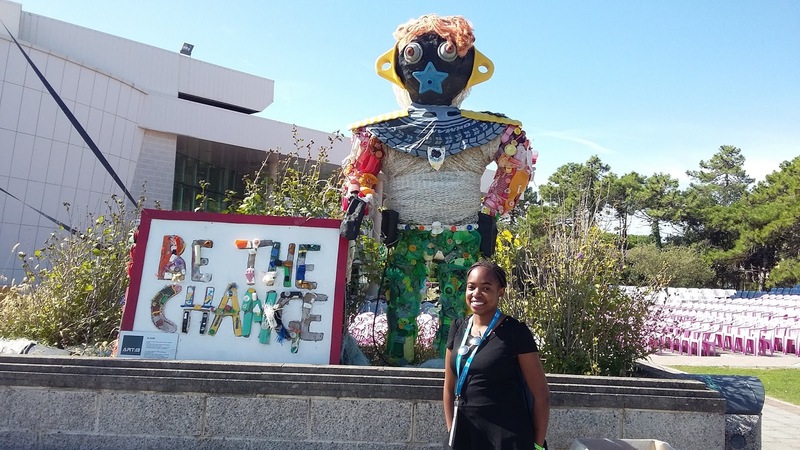 So off we went… and that is how I got involved with UNESCO’s programs! Okay now, fast forward to September 2017! What you do with information matters a lot! Seriously, I mean if someone tells you something, think of what it can do for you or how to work with that little piece of info till it works for you- at least that is what I did. 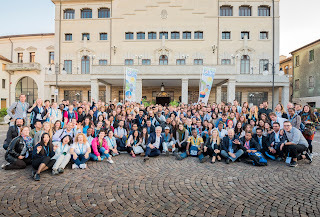 Yet again, another internship had just ended in June and unfortunately I was lying in bed unwell, when I got a phone call from a friend, asking me if I had heard of the 2017 Man and Biosphere (MAB) Youth Forum which was taking place in Italy. Honestly I had not heard about it, all I knew was the AfriMAB which was happening in Nigeria a few weeks later and a colleague had mentioned he would be attending. My friend on the other side was quite confident in me, telling me that I should think about it because “it is something that I would definitely be interested in’ and of course, yes I was. He later on sent me the link, I had a look and decided to think deeply about it later. Next day, my condition had worsened and now I was admitted in hospital. I had all the time to browse on the internet on new and upcoming opportunities, and that is when my “deep” thought process about the MAB Youth Forum begun. On this hospital bed, I drafted my letter of interest on my phone and sent it to the UNESCO Kenya National Commission (KNATCOM). I then proceeded to whisper a prayer and wished the best for the application. In a few days, I received positive feedback from the KNATCOM- I was still on my hospital bed; they also sent me an official link to the application for the Forum which I filled in and submitted, and waited for the response- which by now you definitely know was positive! 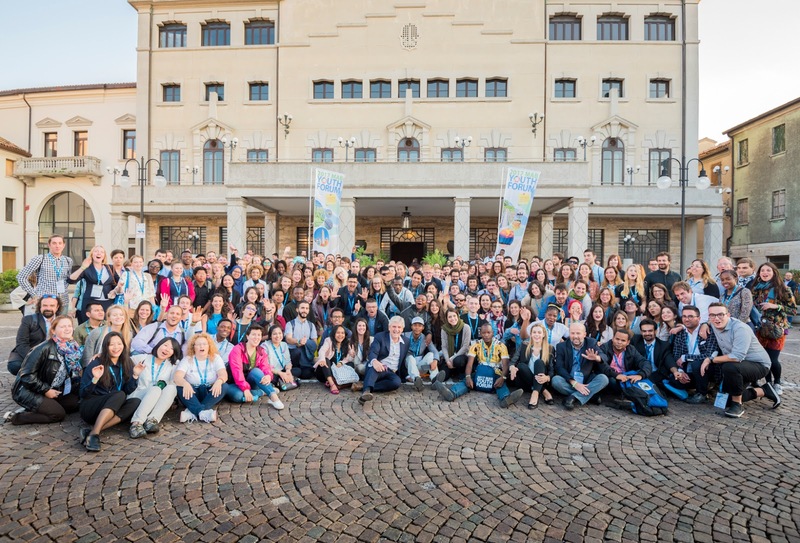 The 2017 MAB Youth Forum was held at the Po Delta Biosphere Reserve in Italy from 18 – 23 September 2017. I consider myself very privileged to have attended this highly participatory and engaging Forum which had almost 300 participants from 95 different countries. I also was the only Kenyan participant representing the Malindi-Watamu Biosphere Reserve. So how did I end up choosing Malindi-Watamu BR? Well, I come from the Kenyan coast and I once had a volunteering opportunity within Watamu, focusing on ecological monitoring and educational programs. During this period is when I first heard about the term ‘biosphere reserves’. According to the UNESCO Biosphere Reserves are “‘Science for Sustainability support sites’ – special places for testing interdisciplinary approaches to understanding and managing changes and interactions between social and ecological systems, including conflict prevention and management of biodiversity”. They are nominated by national governments and remain under the sovereign jurisdiction of the states where they are located and their status is internationally recognized. In Kenya, the Biosphere Reserves are Mt. Kenya, Mt. Kulal, Mt. Elgon, Amboseli, Kiunga and Malindi-Watamu which are all managed by the Kenya Wildlife Service. You can read more about the Kenya Biosphere Reserves here. According to the September 2017 La Gazeta periodical, the MAB Youth Forum was a world-class event that prefigures the exploration and knowledge of territories in a perspective of sustainable development while giving young people a chance to be the center of this process. I arrived in Rosalina Mare on 17th September and checked in at the beautiful Rosapineta Tourist Village- which is a perfect holiday destination by the way- this place looks like a postcard!! The next day, in the morning we had parallel sessions focusing on Communication strategies. We then embarked on creating a MAB Global Communication Strategy. At the same time the other parallel sessions running were on drawing territories, which we practically did, and also appreciated our smartphones and how we can use them as a strong communication tool. Just before midday we also has a presentation on Swedish MAB Programme, which was a case study focusing on BRs as arenas for implementing the 2030 Agenda. Later on, some of the participants, me included, had a guided visit to the National Archaeological Museum of Adria. 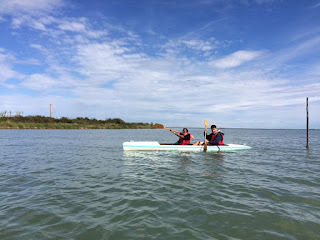 This was a good way for me to re-energize after the morning sessions. The Museum exhibits are from Adria and Basso Polestine with a highlight on Bocchi collection and Attica’s ceramics. This was particularly exciting, and the G. Cipriani State Professional Institute of Enogastronomy & Hotel Hospitality made it extra special with professional young people who guided us through the Museum and also prepared for us specialties tastings. After this we headed to a colorful Opening Ceremony of the MAB Youth Forum at the Municipal Theatre of Adria which commenced with a musical opening by the Orchestra of the State Musical Conservatory of Adria, and later on welcoming addresses before we headed out for a concert! On Tuesday, 19th September, we had 6 parallel workshops in different locations (my group met at the Centro Culturale Mercato, Argenta) where we addressed the question “how can young people be more effectively involved in MAB programme and in the Biosphere Reserves’ life?” We had a clear introduction on the methodology and the goals and expectation for the day but the beauty of this session was that it was managed and guided by the participants! I should mention that after drafting these, we had a session to vote on those we felt strongly about. In the evening we had dinner at the Rice Fair of Porto Tolle, Ocaro Restaurant… which concluded with a vibrant performance from a local artist! Wednesday 20th was the day for EXCURSIONS!! Who doesn’t love excursions!! Again we were divided into 6 groups, in mine we explored the youngest land of Italy, though different means of transport. My favorite was canoeing, as this was a new experience and I braved it! Cycling was also another highlight, as I got to see most recent landforms and fully understand the evolution of the Po Delta as well as spot a variety of bird species!! In the evening we had dinner at the “Radicchio Fair” in Bosco Mesola followed by a concert at the Mesola Castle, Mesola. On 21st September, Thursday, I was back at the Castello della Mesola with a group where we continued with drafting the goals and expectations we had started on Tuesday and afterwards we voted again on those we were passionate about. In the evening we had a “street party” at the Rosapineta Village with lots of food, I enjoyed oysters!! This was followed by a color party and dancing at the Arena! On Friday we then had workshops on digital destination marketing, storytelling with the social media teams and cyclotourism as a development opportunity for parks and territories. The “cyclotourism” session was particularly interesting for me since it is a new concept (to me) and I think it is an area I can further explore. In the evening at the closing ceremony, we had the Final Declaration of the forum presented by selected participants, which was the major outcome of the MAB Youth Forum. 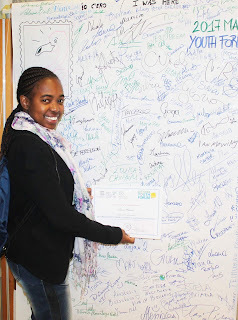 The Declaration was mainly on involving the youth in MAB governance by sharing traditional and scientific information related to sustainable development and BRs through an open database, strengthening partnerships and collaboration in institutions to train youth, facilitate access to funding to support sustainable enterprises and to create hubs and incubators to support sustainable business ideas. We as the MAB Youth Forum Delegates committed to creating host projects for young people in BRs to enhance youth exchange and cooperation on the objectives and actions for the Biosphere Reserve, World Network of Biosphere Reserves (WNBR) and the MAB Programme. After such a busy and fun week of the highly interactive and participatory Forum, it was time to go back to our respective homes and become actors in the MAB Programme to ensure the sustainable development of OUR communities in line with the Lima Action Plan! PS: Expression of gratitude to the Kenya National Commission of the UNESCO (KNATCOM), UNESCO Regional Bureau in Venice and the Conservation Leadership Program (CLP) who supported me as a delegate. Thanks for reading Sharon. So before our coffee date, let me give you a brief highlight on that, We as the MAB Youth Forum delegates felt that we needed more support in accessing opportunities, and examples could be youth exchange programs where different groups could go learn more about BRs in another BR, it is more like how exchange programs work. We also wanted stronger cooperation between youth in different BRs but we felt like we don't have the resources to execute this effectively. Thanks Kondwani, it was a privilege experiencing this with you!! Indeed we are the leaders! !